10 PC. 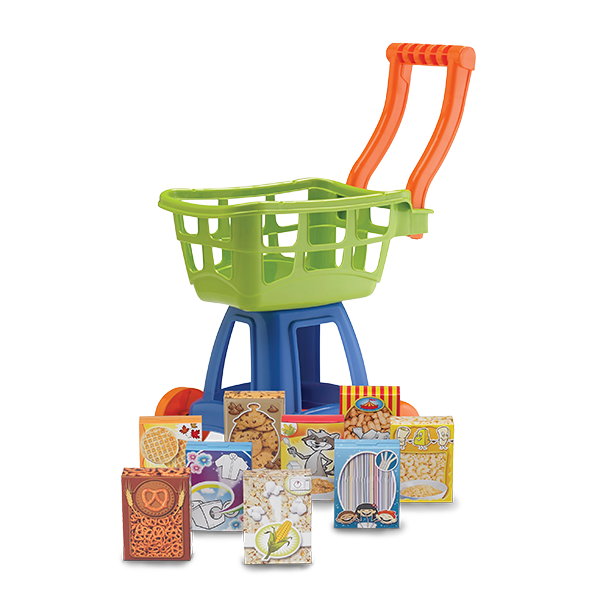 MARKET CART | American Plastic Toys Inc.
Great for shopping trips and hauling toys, this cart features a sturdy handle, oversized wheels, and a roomy basket. This set also includes nine boxes of play groceries.